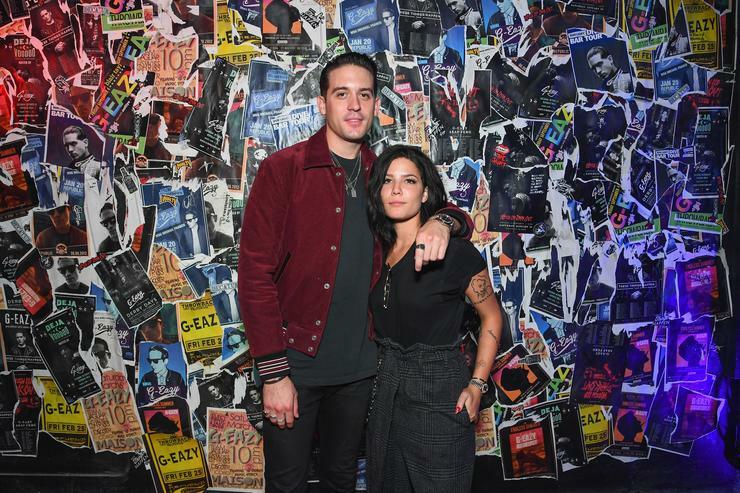 After a year of dating, G-Eazy and Halsey have officially called it quits. With a year feeling more like a decade in Hollywood, the break-up has been pretty devastating for the both of them as Halsey has hinted their relationship may have ended due to the rapper's infidelity. Those rumors have not been cracked yet but it certainly seems as though Young Gerald is moving on quickly, partying with a group of women in Hollywood earlier in the week and leaving with at least three of them in his car. The Blast happened to snap a photo of the "No Limit" artist as he left an L.A. hotspot on Wednesday night. Stepping out of Warwick and into the passenger seat of his whip, the ladies followed Eazy in the back seat, being photographed on their way to wherever they were staying the night. From the looks of it, G-Eazy is enjoying his status as a bachelor, once again becoming one of the city's biggest playboys. Halsey, on the other hand, has been having a difficult time getting over the end of their relationship. We previously reported about the singer breaking down while performing "Sorry" at one of her recent shows. As she spends time with family to try and forget about the possible cheating ways of her ex-boyfriend, the two look to be done for good.